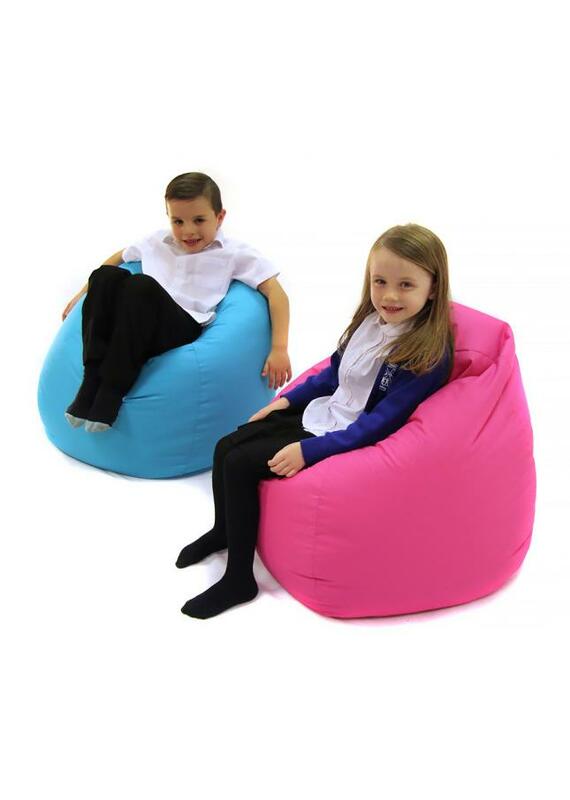 The bean bag is a classic piece of soft furnishing and this child-sized version is ideal for schools, pre-schools and nurseries. Available in 15 bright colours, this kids’ bean bag will brighten up any classroom reading corner or school library seating area. With a classic design this bean bag is made using water resistant fabric which is hard wearing and can be wiped down or spot cleaned. The bean bag is filled with polystyrene beads, has a tamperproof zip and is fully compliant to relevant British safety standards. 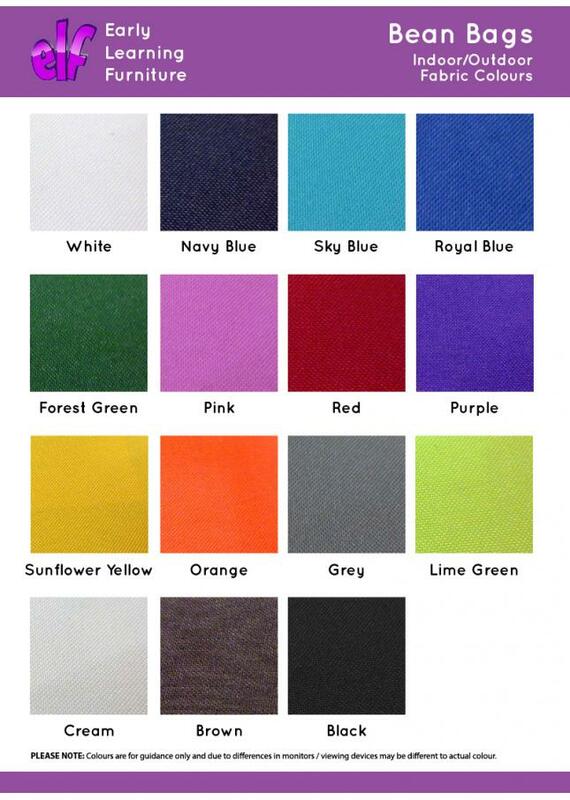 The fabric is water resistant so this children’s bean bag can be used outdoors as well as indoors. However, it is not waterproof so we recommend that it is not left outside or used uncovered in the rain.